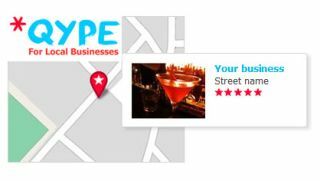 Consumer reviews site, Qype has today launched a brand new business package which allows businesses to trial their own daily deal for free. By signing up to Qype's platinum package, businesses can get all the benefits of a premium listing on Qype, with the addition of a free daily deal mail-out to QypeDeals' database, and keep 100 per cent of the revenue. Businesses can take complete control of their offer and publish a top deal for one day in their town or city. Restrictions can be placed on the number of deals available, and there is no commission to pay, no matter how many deals are sold. The only requirement is a minimum discount of 50 per cent. "Giving businesses the opportunity to try the daily deal model, on their terms, will take away some of the risk and could potentially open up a whole new market and sales channel," says Ian Brotherston, CEO of Qype. Who is Qype? - Qype was founded in 2006 by German entrepreneur, Stephan Uhrenbacher and claims over five million visitors a month in the UK, and competes with US Groupon and Yelp across Europe.